It's November, can I start decorating for Christmas? I'm not much for a Halloweener, so I'm kinda glad that's over, however, I think I may decorate more for it next year. I didn't take out anything from storage this year, even though I have a few vintage decorations. I'm still bringing a lot home from the thrifts. Usually they're bone dry around Halloween for me with all the extra people in the stores shopping for their Halloween costumes. 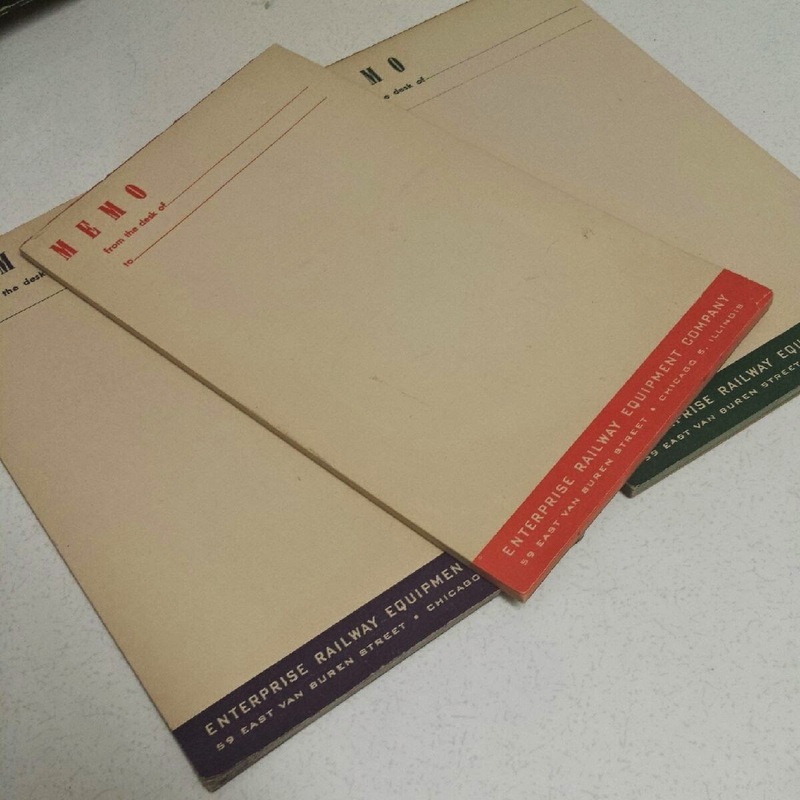 I love these vintage notepads. I was so excited about them that I didn't even notice that there was something in the else in the bag that I could possibly resell until I got into the car. The thing can be sold for approximately $30 on eBay. These vintage pads are for the Enterprise Railway Equipment Company which was located at 59 East Van Buren Street, Chicago. This owl canister has a crack down the middle & is pretty nasty, but I just bought it for the lid. I've got a full set, but the smallest one is missing the lid. I always love finding vintage cards, even if there is just a couple in a bag, I'll buy it. Makes me happy! Friendship lids! I don't find lids too often anymore & I rarely, if ever, remember finding decorated lids on their own. I found a set of 3 each at 99cents. I have yet to remove the tags (dirty dishes haven't left our sink. Yes, we're pigs. ), pretty good condition. Why did they put the prices right on the pattern? Not that it's going to matter because it's not going to take the pattern off when I remove them, but.. yeah. Another customer infront of me, "you know there's bowls that go with those." "Wow, thanks. I know. I have them at home." Cashier thought they were some sort of saucer. I could see that. If you follow me on Instagram, you've already seen this turquoise Federal Mod Flowers bowl. However, if you don't - here it is. Have you seen it before? Nobody on Instagram had when I asked. 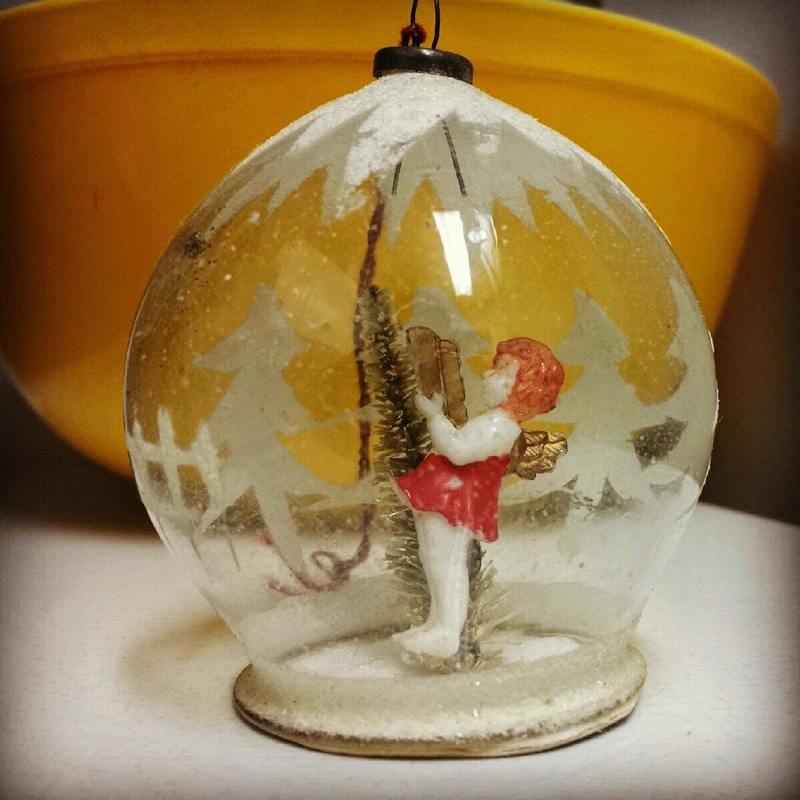 Look at this vintage, made in Japan ornament. It was in the bag with the Santa & Mrs. Clause I bought last week. Keeping or selling, trade not sure. A bottle brush diorama ornament! 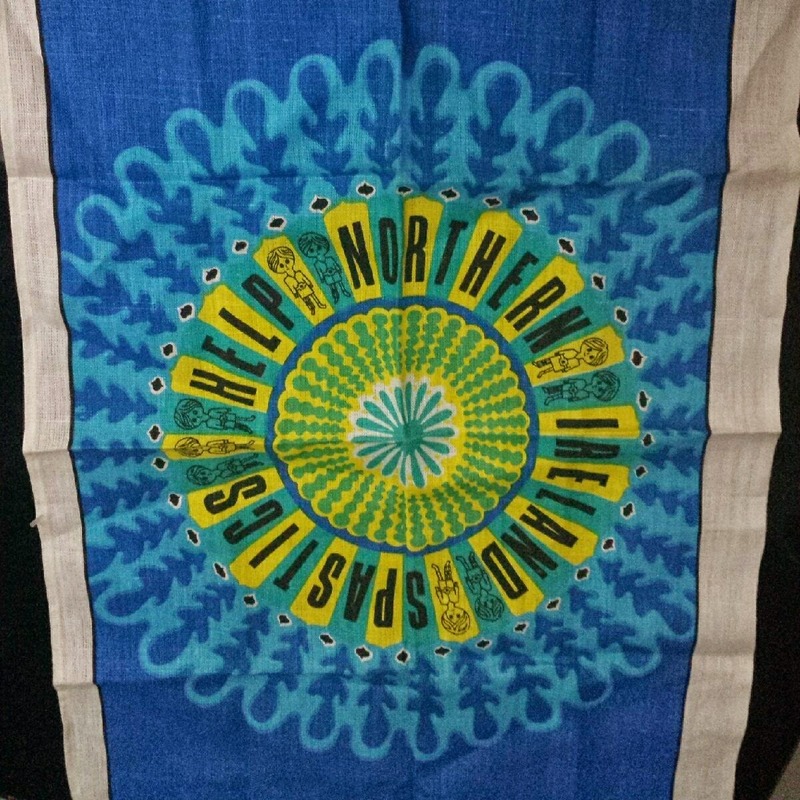 This is such a crazy, unique tea towel. Love it. Who has heard of this game? This one had been opened, but never been used (all pieces are still in tact). They supposedly started producing it again, so you can buy it again, but nothing like the original, eh? "Where the dealers are always one step ahead of the narc!" Well, that's it for me. I obviously have more stocked away. The place is a mess!! Gotta get it cleaned up or I'm not allowed to make any stops on our upcoming trip. How awful is that? He's never laid down the law before, haha. 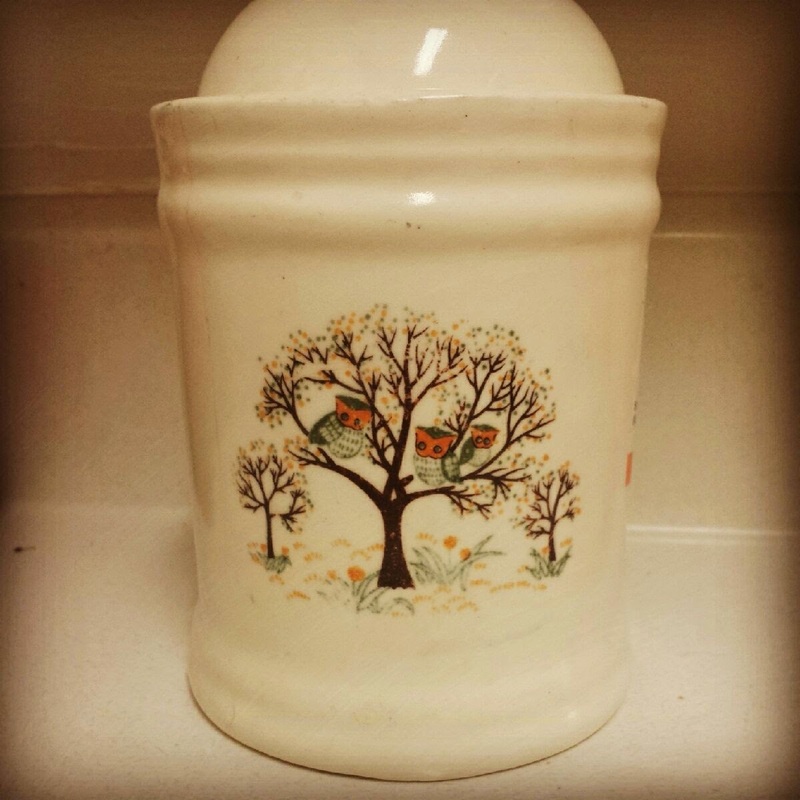 Thrifty Things Friday with Melissa's Antiques. Thanks everyone for linking up last week, can't wait to see what everyone has found this week, too. Link up below for the party! Next week, I should see you possibly on Sunday or Monday night as I'll be away visiting family, until then - thrift on! Thank god for those helpful people at the thrifts! If it wasn't for them, I'd have no idea I was buying Pyrex! You better get moving on cleaning up! No stops along the way? That is so mean! LOOOOOVE that crazy tea towel! never enough linens. never! Found my first little 10 oz avocado green oval casserole at a way out of town Thrift Store, buried in the back of a shelf. 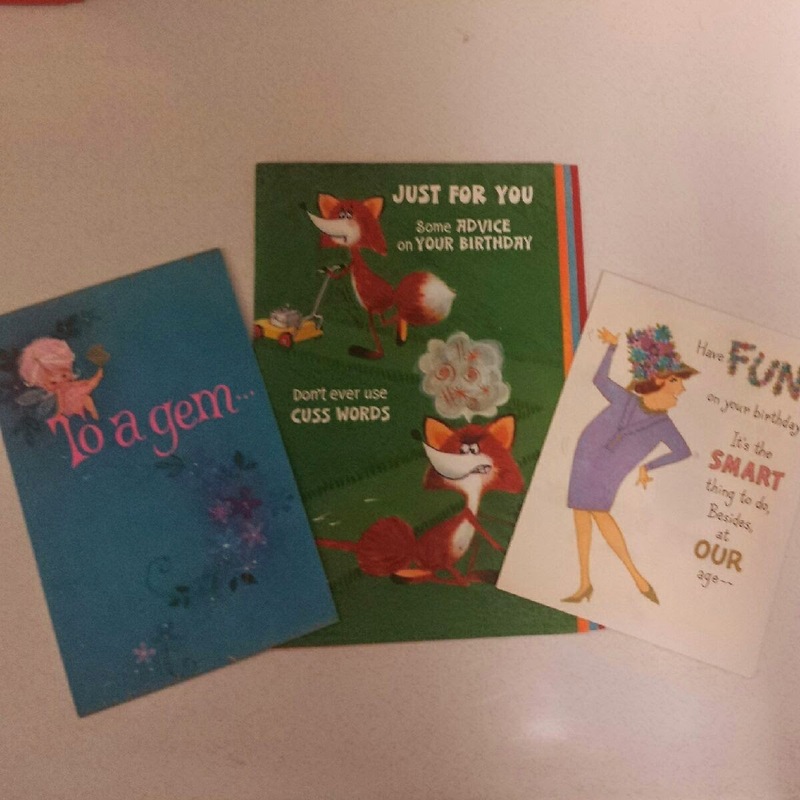 Thanks for hosting Thriftasaurus, always look forward to seeing who shared what. Nice score on the Friendship lids! My husband found 3 of the opal ones at a yard sale. Took me another year and a half probably to find all the right dishes to go with them, but I did, and I was glad to have my lid stash. Cool finds! 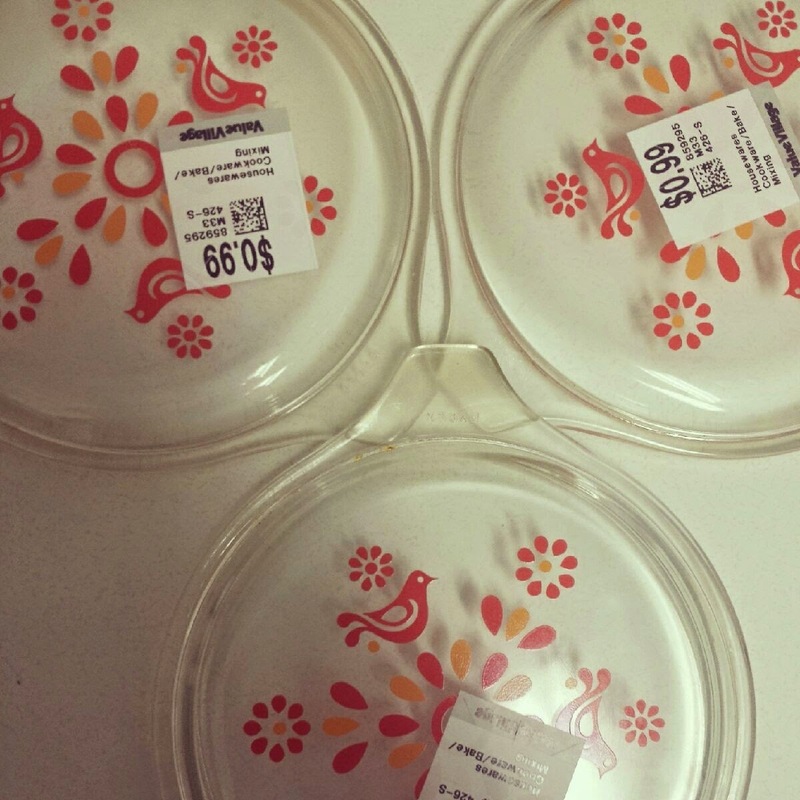 Your Friendship Pyrex lids what a great find I hear your frustration with pricing stickers. Love that blue dish towel. You have some great finds as always. I thought that game was a record album from the '80s! 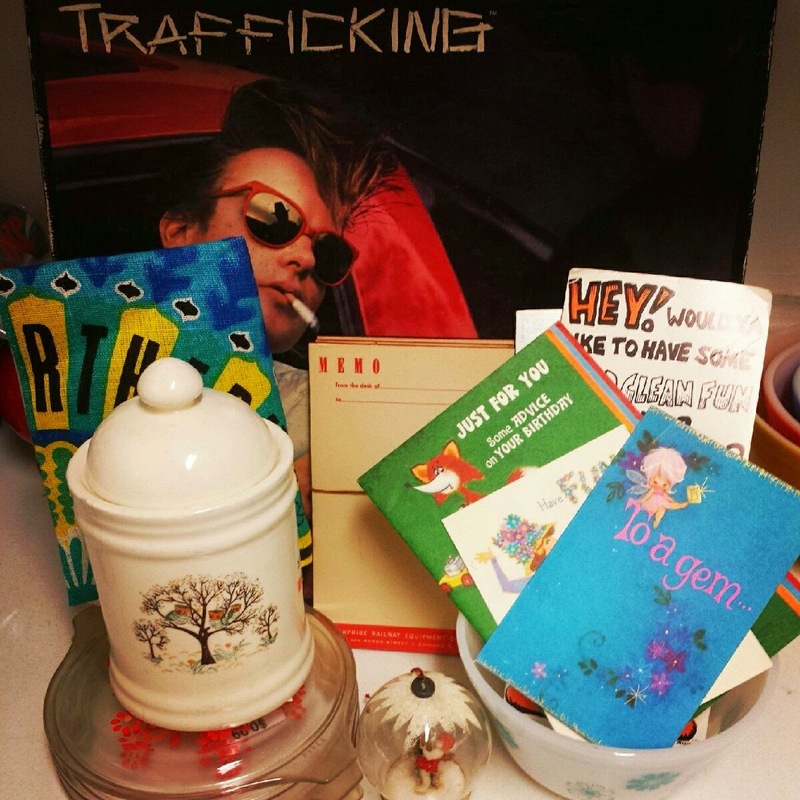 Thanks for sharing your finds @ TTF. Those friendship lids are a super score! Those lids are great! I also love the notepads. Hope you are cleaning so you can thrift! Thanks for hosting.